Catalina Island summer camp is a magical experience full of adventure and excitement. The opportunities that the MSA shipboard program offers are unlike any other in the southwest. 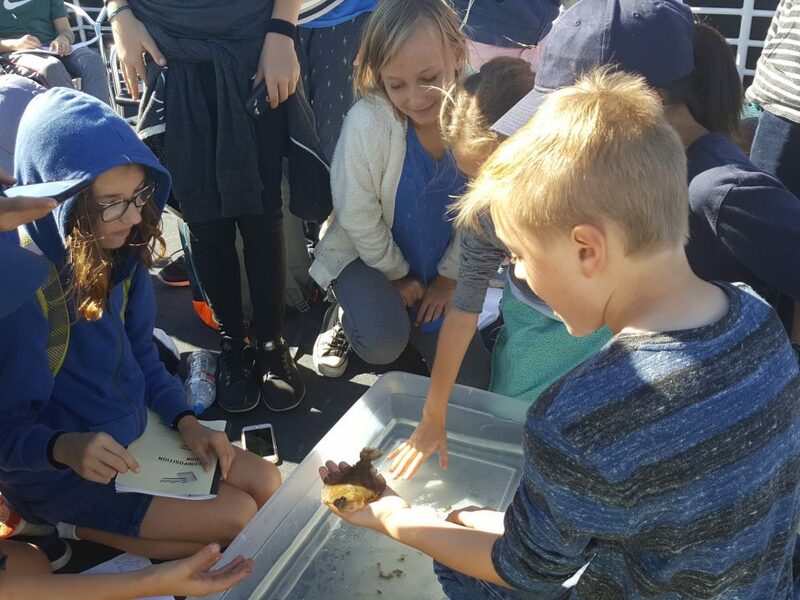 Campers get the chance to live aboard a 112-foot marine research vessel, The Wilderness Explorer, and conduct actual marine biology field science while exploring the various coves of Santa Catalina Island. 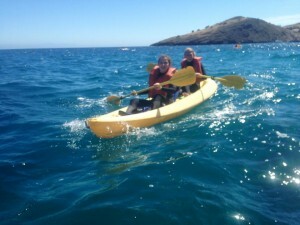 Recreational activities include everything from snorkeling, kayaking, and hiking to games, lounging on the beaches of beautiful remote coves, and star gazing in the beautiful night sky far away from the city lights of Los Angeles. The accommodations aboard the ship are very comfortable, making for a nice personal space during the night. Each stateroom has it’s own private bathroom, offering more privacy than most vessels this size. The general use areas are spacious and very accommodating. With plenty of deck space, and a multi purpose area that quickly becomes our dining hall during meals. We will be enjoying professionally catered food during our incredible week at sea. From the moment each student arrives at camp they are encouraged to ‘dream big’, ‘persevere’ and ‘break your fears’. The MSA camp staff is passionate about working with empowering youth and making world changers every week with each child that comes out. More often than not, campers return from their week aboard The Wilderness Explorer with expanded horizons, reinvigorated dreams and goals for their future, and a deep sense of self worth and confidence. 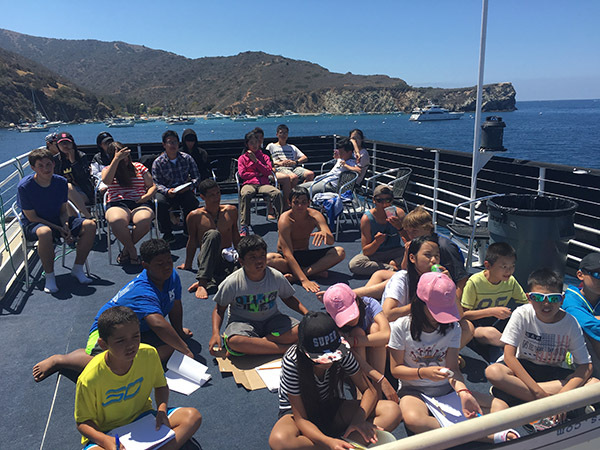 When asked what they were most looking forward to about Catalina Island summer camp 2015, long time staff member Miranda Prado told us “I am looking forward to another beautiful season with MSA. I love being apart of the MSA team because I know we make a difference in the lives of many, and I am so honored to be apart of this movement of world changers”. This is the sort of passion that the MSA program sparks in the hearts of all whom attend. The participants quickly recognize that they are somewhere that they are safe and free, able to experiment and develop new traits and skills. They can push themselves to overcome certain fears, inhibitions and limitations, continually hitting new levels of competence and high self-esteem. A Safe Place For A Kid To Be A Kid! The camp environment is a safe place to allow the natural strengths and talents of each child to grow. Although only one hour across the channel, Catalina Island feels so isolated and remote, like a whole new world. This element of mystery allows the students minds to be free to imagine and visualize, perceiving a whole new paradigm of possibilities for their future. As each child becomes more competent in their skills, and confident in themselves, they quickly see their social lives improve. They are able to meet new friends, make a best friend, cheer for each other during activities, and build a bond that can, and often does, last for years. 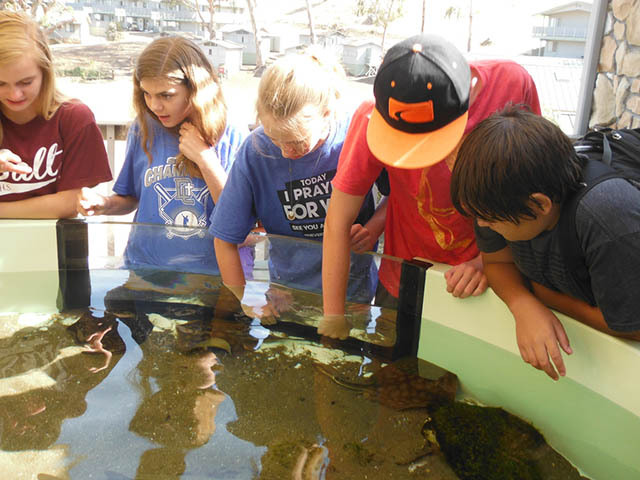 Coming to camp enriches the lives of each child that participates. The challenges in each event require encouragement from the whole camp, which must work as a team to complete the activity. 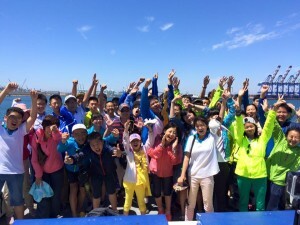 The overall self image and morale of every camper is uplifted.